I was walking on the street and guess which plant I came across? 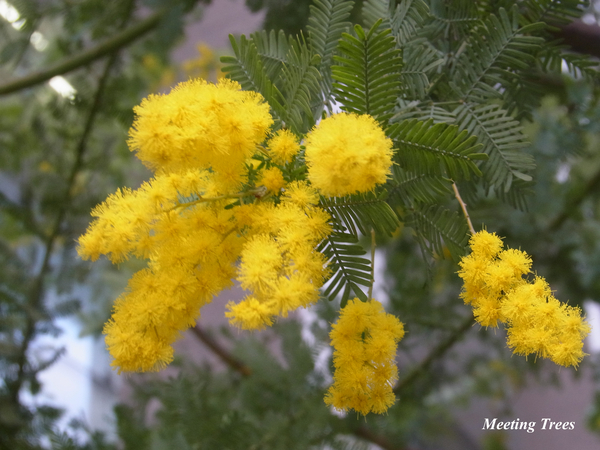 It was Mimosa (Acacia dealbata)! I was really drawn to this beautiful yellow flower! It is lovely event that men send this mimosa to women who is not necessary to a partner, can be mother, grandmother, or daughter etc in Italy on the International Women's Day!